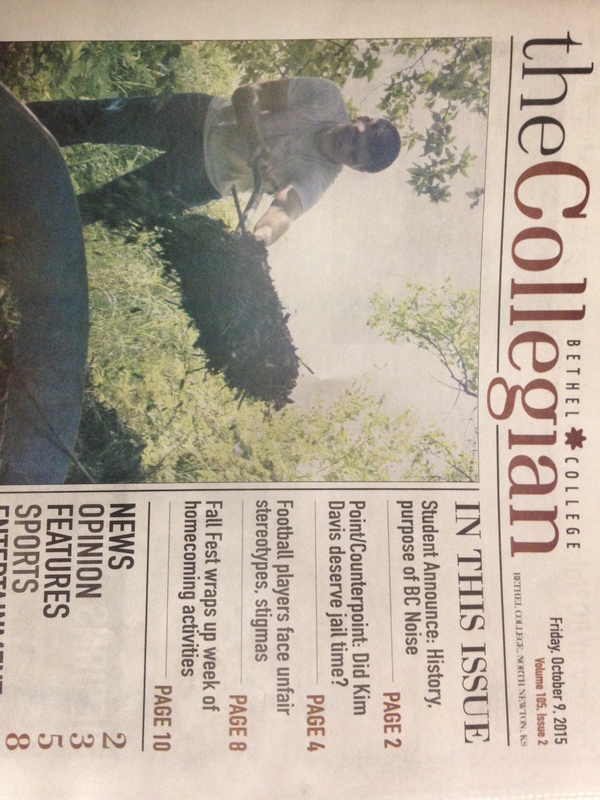 The Collegian is a student-run newspaper published bi-weekly while classes are in session. The Collegian is funded by the Student Government Association and advertising revenue and is printed by The Newton Kansan. The Collegian covers campus events, personalities and issues. The Collegian welcomes writers and photographers from across campus and all perspectives to participate in The Collegian’s production. Consider writing a letter to the editor. As a means of exploring the concepts of citizenship and community, letters to the editor are welcomed and encouraged. Letters should be no longer than 200 words, must refer to an article that appeared within the last month, and must include the writer’s eimail address and phone number. Letters will be edited for appropriate content and may be shortened for space requirements. All letters to the editor should be sent to the editor-in-chief. If you have an idea of a story that should be covered, be sure to contact us at collegian@bethelks.edu. Want to write for the Collegian? If you are interested in a job writing for the Collegian, contact editor-in-chief for information on job openings. Click below for an online version of the Bethel Collegian.